Introducing technology to seniors is vital in today’s senior living environment. We truly live in a time when more information is available on any conceivable topic than any other time in history. 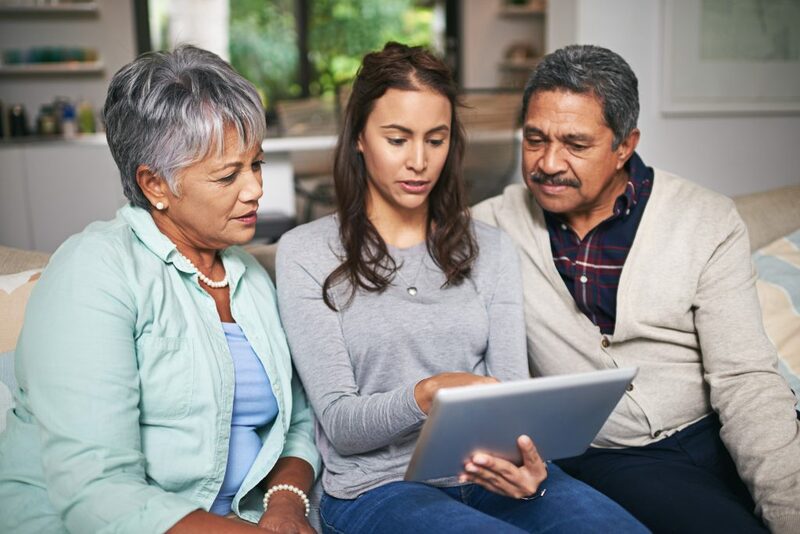 Being connected provides seniors with a voice and ability to make a positive social impact on all generations. Today’s senior is incredibly technologically savvy. They will adopt technology more readily when they can connect with family and friends, receive engaging content and have access to support. You can encourage adoption of technology by prioritizing the selection of devices for comfort, familiarity and ease of navigation. The next step is to host demonstrations on device and app use. Once happily ensconced in Tuscan Gardens®, we provide tools and training to help residents use that connectivity to access news, information, government services, health resources and opportunities for social support as well as share their positive experiences with families and friends. Technology for seniors serves several purposes, but most importantly, it enhances The Art of Living With Purpose, Passion and Joy® here at Tuscan Gardens®. Tuscan Gardens® is a living legacy to a wonderful mother that totally reimagined Supported Living, Assisted Living, and Memory Care communities for our seniors. A one of a kind community in which residents are considered family members and everyone’s lifestyle is filled with Elegance, Purpose, Passion & Joy. Contact us today to learn more about our communities and to become a part of our Tuscan Gardens® Family.